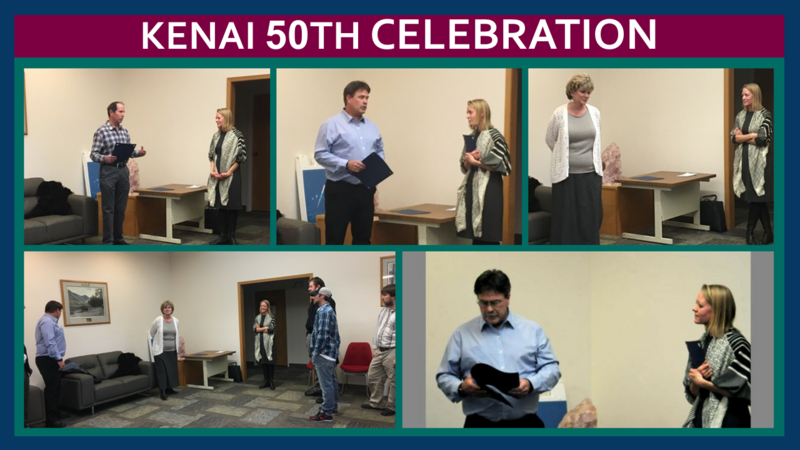 In honor of our 50th Anniversary, ALSC traveled to Palmer, Utqiagvik, Nome, Kenai, Juneau, Fairbanks, Bethel, Anchorage, Dillingham, Ketchikan, and Kotzebue for a year of service and celebration with our community partners, clients, and supporters. ALSC’s Year of Service and Community Celebration kicked off in Palmer on November 30th, 2016 at the Palmer Train Depot. JAG Attorney Kris Coyne provided a free “Your Money Your Goals” legal clinic focusing on financial fitness and preparedness for community members in the afternoon. 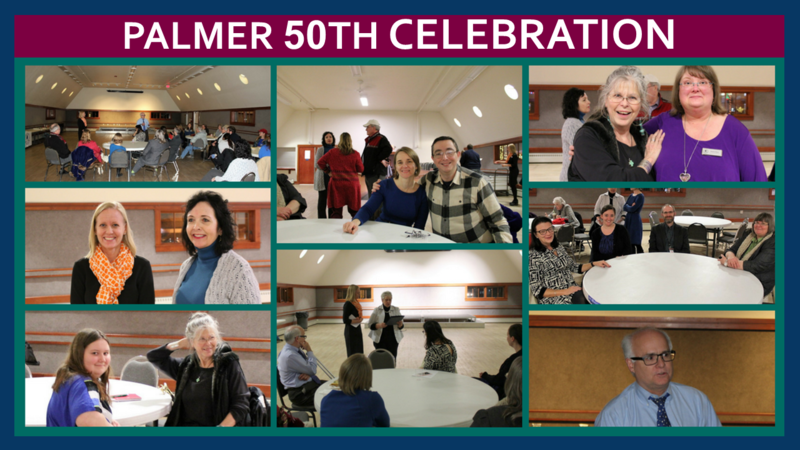 Afterwards, community members, volunteers, supporters, and clients came together for a free reception celebrating ALSC’s presence in Palmer and the surrounding communities. ALSC’s Day of Service and Community Celebration in Utqiaġvik was held on December 5th, 2016 at the Inupiat Heritage Center. JAG Attorney Kris Coyne provided a free “Your Money Your Goals” legal clinic focusing on financial fitness and preparedness for community members in the afternoon. 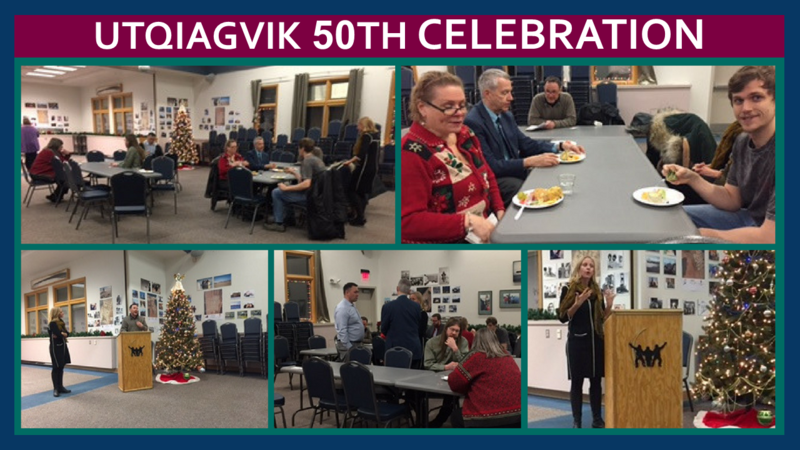 Afterwards, community members, volunteers, supporters, and clients came together for a free reception celebrating ALSC’s presence in Utqiaġvik and the surrounding communities. Thank you to ASRC and the North Slope Borough for sponsoring this event! ALSC’s Day of Service and Community Celebration in Nome was held on December 12th, 2016 at Old St. Joseph’s Church. The day of service included a joint event with the Alaska Native Justice Center aimed at addressing the legal needs of domestic victims. Additionally, ALSC board member Erin Lillie presented a free financial fitness community legal clinic. Afterwards, community members, volunteers, supporters, and clients came together for a free reception celebrating ALSC’s presence in Nome and the surrounding communities. Thank you to Bering Straits Native Corporation for sponsoring this event! ALSC’s Day of Service and Community Celebration in Kenai was held on February 6th, 2017 at the Kenai Community Library and the ALSC Kenai Office. ALSC board member Liz Leduc presented a free Financial Empowerment Seminar which focused on dealing with debt, understanding credit reports, and shopping for financial services. Afterwards, community members, volunteers, supporters, and clients came together for a free reception celebrating ALSC’s presence in Kenai and the surrounding communities. ALSC’s Day of Service and Community Celebration in Juneau was held the week of February 21st, 2017 at the Governor’s Mansion and Sealaska Boardroom. Legal Services Corporation President Jim Sandman traveled from Washington D.C. to participate in the week of festivities. 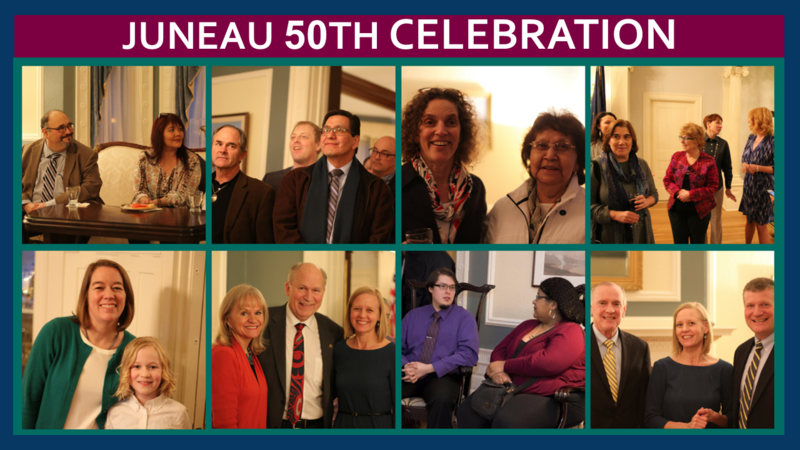 First, a reception was hosted by Governor Bill Walker and First Lady Donna Walker to celebrate ALSC’s presence in Juneau and in communities across the state. Then ALSC and ANDVSA co-hosted a pro bono volunteer appreciation party to thank pro bono volunteers. ALSC’s Day of Service and Community Celebration in Bethel was held the week of March 13th, 2017. With the help of visiting Columbia Law School students, ALSC hosted a veteran and service member wills clinic, a health clinic, and a divorce/custody workshop. There was also a free reception celebrating ALSC’s presence in Bethel and the surrounding communities for community members, volunteers, supporters, and clients. ALSC’s Day of Service and Community Celebration in Fairbanks was held the week of March 13th, 2017. Pro Bono volunteers staffed a walk-in clinic during Tanana Chiefs Conference’s annual conference to provide free legal help to those in need while they were in Fairbanks from outlying regions. This was followed by an open house/community celebration at ALSC’s Fairbanks office. Each year, Jammin’ for Justice presents a chance for the local community to gather with great music to celebrate Alaska Legal Services Corporation’s presence in the state. 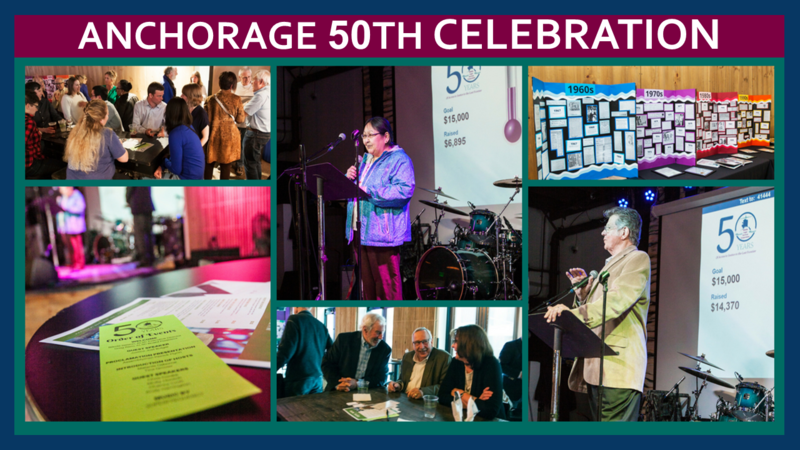 This year’s event was even more meaningful because ALSC was also celebrating its 50th Anniversary Celebration in Anchorage. The concert featured an esteemed lineup of guest speakers, the funky tunes of local Anchorage band Superfrequency, and amazing generosity from supporters and sponsors who helped raise over $54,000 to support ALSC’s services across the state. ALSC’s Community Celebration in Dillingham was held on Friday, June 2, 2017 at the BBNA Conference Room. Community members, volunteers, supporters, and clients came together for a lunch reception celebrating ALSC’s presence in Dillingham and the surrounding communities. The event also coincided with ALSC Alum Tina Reigh’s installment as Dillingham Superior Court Judge. 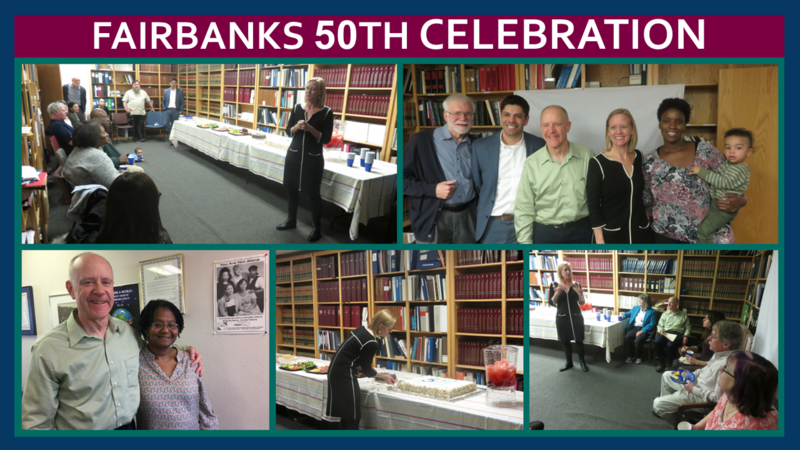 Alaska Legal Services Corporation celebrated its 50th Anniversary in Ketchikan at the Ketchikan Borough Conference Room. 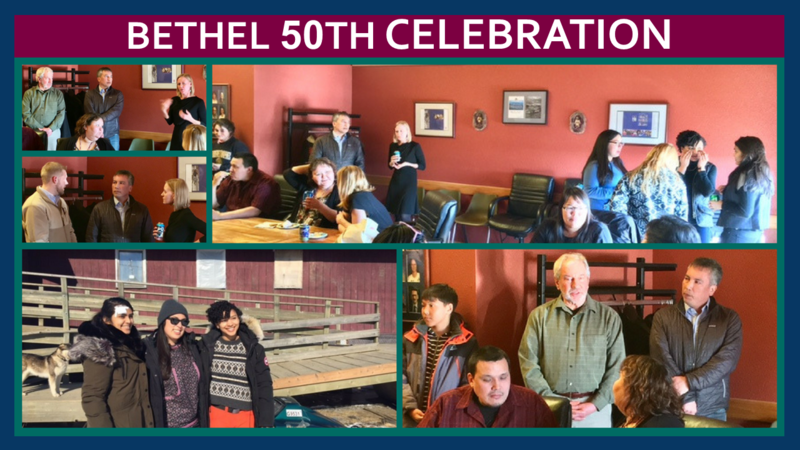 Community members, volunteers, supporters, and clients joined us in celebrating 50 years of justice and ALSC’s presence in Ketchikan and the surrounding communities. 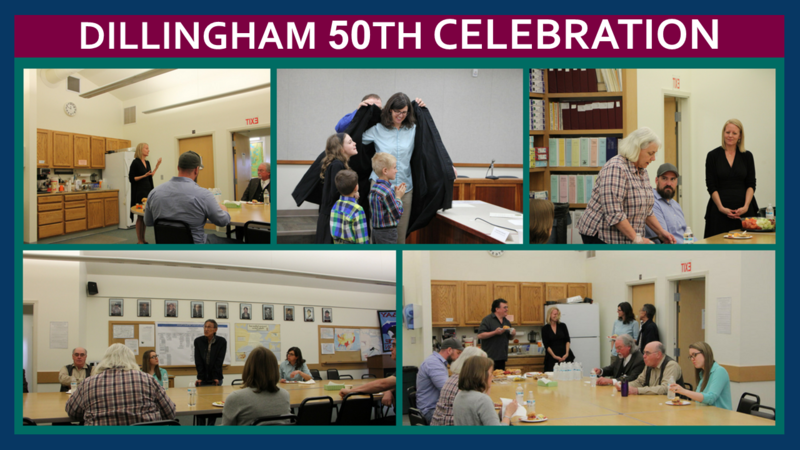 ALSC celebrated its 50th Anniversary in Kotzebue at the Ferguson Building Board Room on Friday, September 22nd. 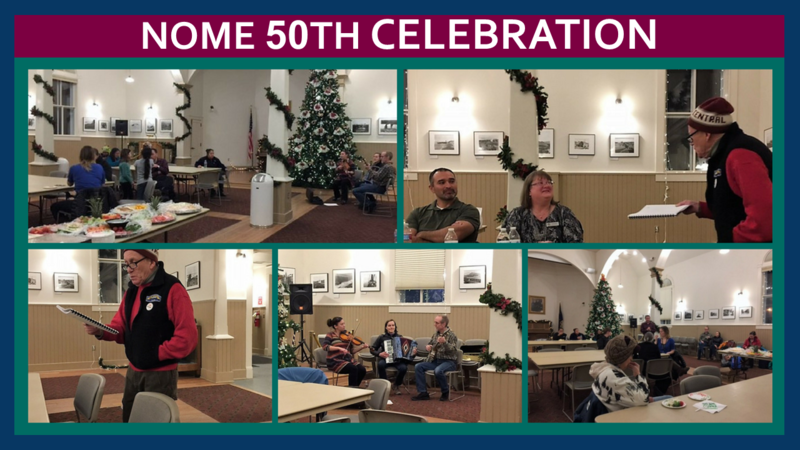 Communities members, volunteers, supporters and clients joined ALSC for its final event of the year to celebrate 50 years of justice and ALSC’s presence in Kotzebue and the surrounding communities.